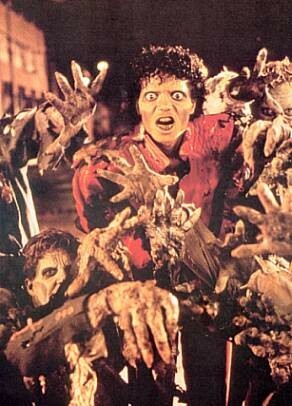 Our second and very much requested special on Zombies in Pop Culture! In the Middle Ages, it was commonly believed that the souls of the dead could return to earth and haunt the living. The belief in revenants (someone who has returned from the dead) is well documented by contemporary European writers of the time, such as William of Newburgh and Walter Map. According to the Encyclopedia of Things that Never Were, particularly in France during the Middle Ages, the revenant rises from the dead usually to avenge some crime committed against the entity, most likely a murder. The revenant usually took on the form of an emaciated corpse or skeletal human figure, and wandered around graveyards at night. The “draugr” of medieval Norse mythology were also believed to be the corpses of warriors returned from the dead to attack the living. The zombie appears in several other cultures worldwide, including China, Japan, the Pacific, India, and the Native Americans.